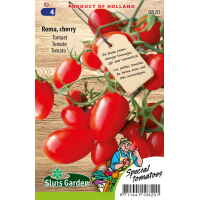 Cherry Roma is a very heavy cropper which can be harvested within 70 days of seeding. 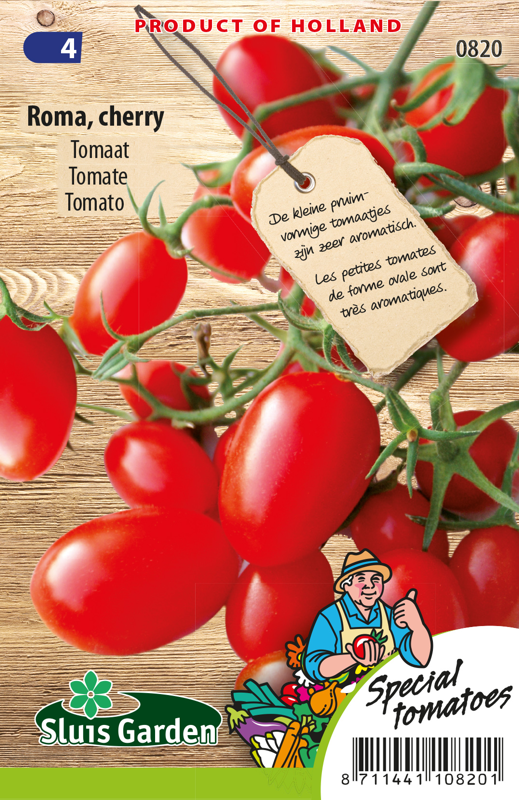 The plum-shaped tomatoes are particularly aromatic, are deep red in colour and have a delicious spicy sweet flavour. They are easy to peel (the skin is thin) and above all have a long shelf-life and are therefore suitable for fresh and dried consumption (puree, pasta, salsa and tapenade). Can be grown on wire. Pick the leaves and remove the side shoots to prevent disease.